Kawasaki recommends Service intervals as early as 10 hours up to every 100 hours or once a year. It is Vital that you follow the Manufacture Recommend Service interval for your Personal Watercraft to ensure proper operation and longevity. -In addition to Kawasaki recommendations, we also check Cylinder Compression, check the Charging System, and water test your boat to verify performance. 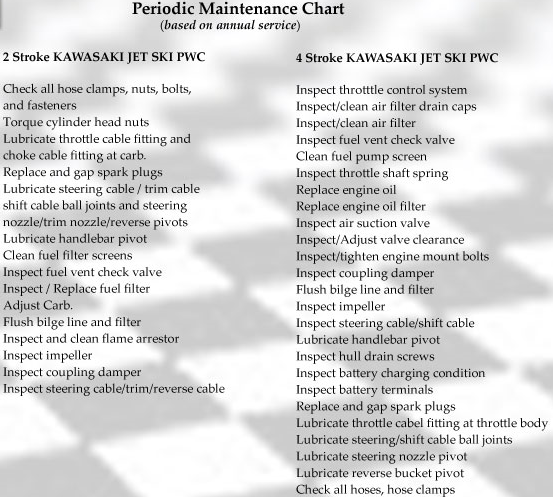 -We are equipped with Diagnostic Interface for the Kawasaki PWC to provide complete service. Call today to schedule your Kawasaki PWC for service!